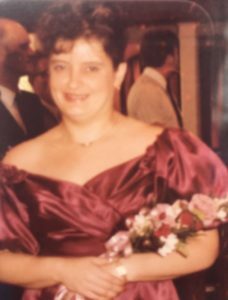 Carol Lynn Cogar, 63, of Hollywood passed away on December 27, 2018. Carol was born to the late Richard Charles Miller and Norma Jeanette Miller in Allentown Pennsylvania on February 19, 1955. Carol spent her early years traveling from Base to Base with her family as a “Military Brat”. She would eventually come to rest in St. Mary’s County after her father retired from the Navy. After earning her degree in business management she went on to manage Dollar General stores until 2003. Her hobbies included building classic cars, crafts, and listening to music. Carol loved life. She cherished every moment spent with her friends and family. Carol was preceded in death by her sister Donna and her daughter Jennifer. Left to cherish her memory are her Daughter Mischelle of Valley Lee, Md, Son Mark of North Carolina, Sister Deborah of Atlanta Ga., Grandchildren Daniel and Joanna of Hollywood, Md, Brother in-law Bill of Hollywood, Md, George of Port Republic, Md and Shannon of Valley Lee, Md. Step son Dan and his wife Gemma of Wilmington NC. Services are currently pending and will be private. Memorial contributions can be made directly to Hospice of St. Mary’s. This entry was posted on January 1, 2019 at 2:18 pm and is filed under All News, Obituaries, z Obituary Ad Top. You can follow any responses to this entry through the RSS 2.0 feed.